Note from shop owner Hi! Thank you so much for your order! I am truly grateful for your support of my practice. To thank you here's a discount code, YOUROCK, to get 10% off your next order. You can also join my email list at http://eepurl.com/cUs1zX to be the first to find out about new products and get the deepest discounts for your practice, including a 20% discount code for your use as a Circle of Light member. Hi! Thank you so much for your order! I am truly grateful for your support of my practice. I love these wonderful items! Seemed to arrive a little late. Happy Full Moon! Looking for tools for channeling all this Aries energy? 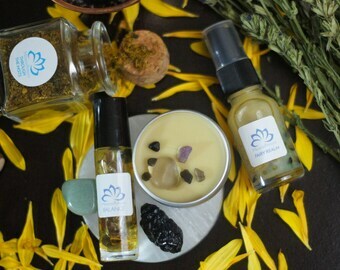 Check out the Ultimate Goddess Artemis Wiccan Kit. I make my flying ointments in small batches, slowly heating herbs and roots over low temperatures. Batches of Back Off candles fill the house with the most unbelievable peace. I create naturally scented apothecary products that invoke a sense of the ancient and the divine. As a green witch I follow the traditions of old, creating products to heal the body and mind and bring peace to all who enter my circle. The Goddess has called me to my path and I am honored to share my magic with you. Each creation is a marriage of old world witchcraft and modern herbal knowledge and this union is what differentiates MearasPotions. 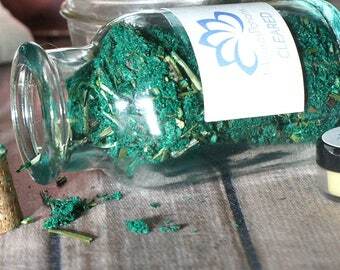 Organic herbs and essential oils fill my altar room and potions are blessed by moon magic. Combining the magickal property of ingredients with soothing aromatherapy allows our individual magicks to reinforce each other by centering you. My potions are perfect for the sensitive (empathic) nature that characterizes most witches and to bring the full depth of your energy to your spellwork we need you cleared of other's negativity and confident in the work you are about to do. I make all products in my altar room in Richmond, Virginia. I am Wiccan and a student of herbalism, aromatherapy, and meditation. I'm committed to social justice, environmental issues, and animal rights. My family came to this country from Ireland and with them brought the knowledge of nature spirits, the fae, and a strong belief in natural and spiritual healing. Herbal teas and salves were always preferred over the consumption of unnatural chemicals, and the power of meditation/ petitioning the Divine was valued above all. This practice was passed down from my grandmother and I am proud to have learned the craft. Every product is created in small batches by hand using only quality oils and herbs. These are grown/wild crafted from reputable organic suppliers - Mountain Rose Herbs is one of my biggest suppliers because if you're putting it on your body, I want it to be good enough to put in your body. It was wonderful to have you stop by! I work as a spiritual guide & share my practice with those new to the Craft. My potions are charged with love & positive energy - connecting with these intentions is the key to real Magick. I'm inspired by my beautiful friends & furry children.